The ancient yogic teaching of Santosha means “finding contentment with what is, and what isn’t”. This one-day retreat will help you come “Home” and find contentment here, now. Come home to the place where you LIVE. This city. This house. This body. This life. This breath. Discover what is here, now, around you, and in you. Denise Druce and Julie Bush are teaming up to share with you some of our favorite things about our city. 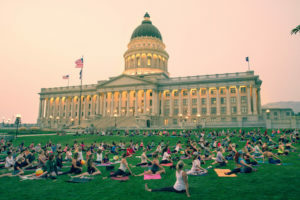 Join us for a day of yoga, community, learning, growing, creating and loving where you live.